Looking at period inventories available for 18th and 19th century cabinet shops, one can get a good idea of the common tools that may have been found in a cabinet shop of the time. Further reading of period texts like Joseph Moxon’s Mechanik Exercises or Peter Nicholson’s Mechanic’s Companion gives us some clues as to how period cabinetmakers worked with their tools. One thing that is apparent from both the period inventories and texts is that these shops typically had a good number of tools for specialized tasks. A tongue and groove joint can be made with a variety of tools, but none are as efficient as a dedicated set of tongue and groove planes. Today, on the other hand, minimalism and versatility seem to be popular buzz words. We want one stop shopping, universal remotes and kitchen appliances that slice, dice, roast, blend and take out the trash. This desire for the one size fits all wonder widget tends to creep into our woodworking shops as well, as many of us look for more versatile tools. The hope is that we can avoid purchasing multiple, specialized tools that can perform fewer tasks, and as a result, stretch our hard earned dollars a little further. Don’t get me wrong, there is something to be said about minimizing one’s tool kit. It is true that you can do an awful lot with a very small set of tools. Versatility can be a good thing is some cases. However, the more versatile tool is usually a compromise. When something becomes more versatile and less specialized, it usually means that you give something up that made the specialized version…special. Modern American mega marts are a great example. Like anyone else, I do like being able to go to the local big box home improvement store to get all of my plumbing, lumber, electrical and landscape supplies for the weekend’s projects in a single trip. However, have you ever needed help in one of these stores? If you need to talk to someone who actually knows something about plumbing or electrical, you’re out of luck. You gain the convenience of one stop shopping, and the economics of scale, but you lose the knowledge and personal service of the small specialty store owner. The same situation exists with our choice in tools. A single backsaw can be sharpened in such a way that it will do an adequate job both ripping and crosscutting. But it won’t do either of those jobs as efficiently as a true rip tooth or crosscut tooth saw would do them. It will rip more slowly than a true rip tooth saw and will not crosscut as cleanly as a true crosscut tooth saw. Can you save money by only purchasing a single saw? Yes, of course. But can you accept the compromise? Only you can answer that question. Is there a versatile tool that will do the work of all these planes? Maybe, but does it perform as effortlessly and as well? Very few of us are so wealthy that we can nonchalantly plunk down the tens of thousands of dollars that it would take to own every specialized tool for every task. Besides, it’s foolish to think that we need a specialized tool in every situation. Still, there are some tools for which there is no good substitute. A good square, for example, is a hard tool to replace. In the end, as with most things in life, there is no one size fits all in woodworking. For some, a “versatile” tool may be the perfect fit, but they’re not necessarily for everyone. 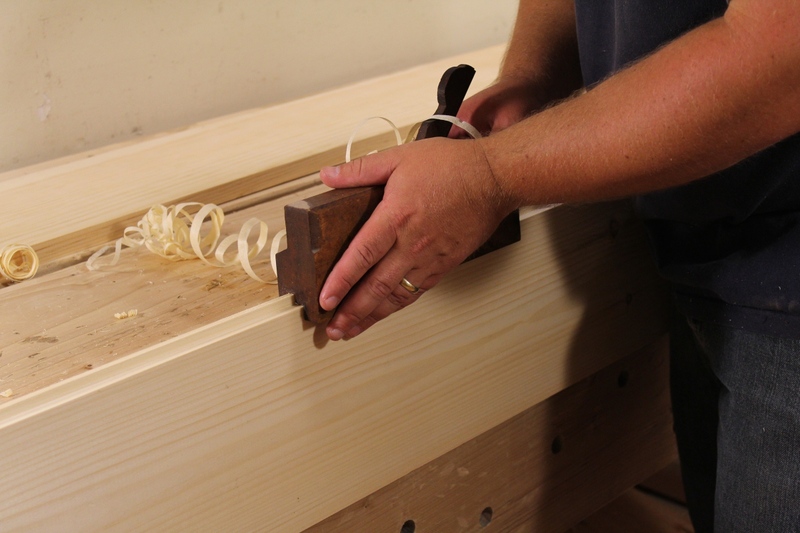 Someone who prepares their stock with machines may find that a single “versatile” hand plane is all that they need. They may not find a full complement of bench planes very useful, whereas I wouldn’t be without my separate fore, try and smooth planes. The real challenge is to tune out the noise and examine your own needs and your own preferred method of work, and then to choose the tools that will best help you to work efficiently, effortlessly, and enjoyably. Posted in Random Thoughts, Tools and tagged specialized tools, versatile tools. 1. I have wanted to make individual mortise gauge beams for some time now. One for each of my mortise chisels. No more setup needed. Quick easy and something I’ve seen in old tool chest lists that just made total sense to me. When you say “mortise gauge beams” do you mean that you’d have multiple beams that can be swapped in and out of the same fence piece? 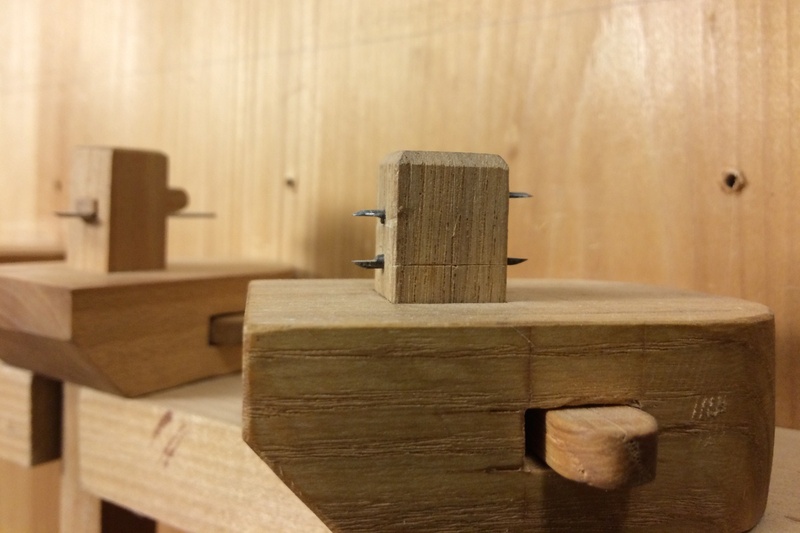 I’d never thought about doing it that way that but it seems like it could be a really good idea and save some time instead of making full gauges for all of your mortise sizes. Hmm. Something to ponder. You can do four sets per beam. 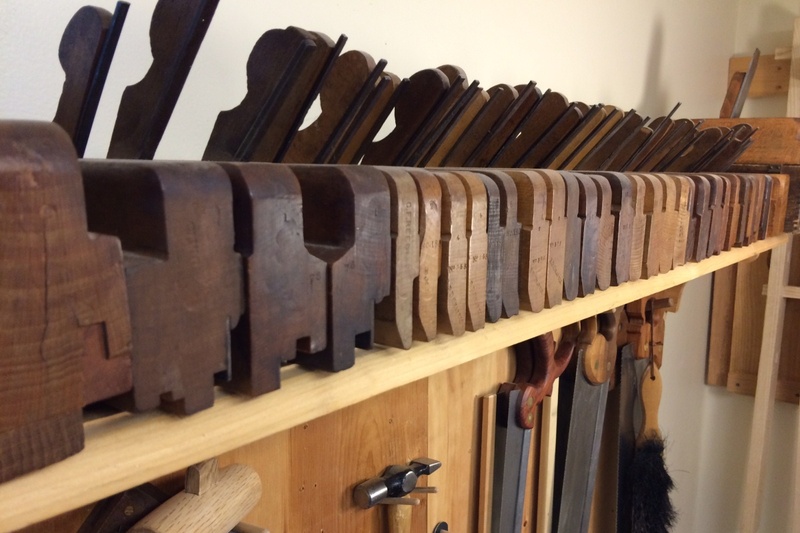 So you’d only need multiple beams if you had a lot of mortise chisels. I did a single beam with multiple sets of fixed pins for my Ray Iles mortisers. I had intended to add more sizes to the remaining two faces, but never got around to it. Then I sold those other mortise chisels because I pretty much only use the 1/4″ and 3/8″ sizes in most of the work that I do. Get them close. Then file the inside faces until the chisel slides between. A tangent about asking for help in a big box store. Our new house only had a tub with no shower. We wanted to put up a temporary shower until we could remodel the bathroom, so I planned to put in a new tub spout that had an outlet for the hose of a handheld shower head (I hope it’s clear what I’m talking about). I asked the guy in the plumbing area of Home Depot if they had such a thing and he was skeptical that such a thing would even be possible. He simply couldn’t believe that the water would be able to travel up the handheld shower hose AGAINST GRAVITY. He had to go ask another guy, and after we found the part he continued to marvel aloud that such a thing was possible. Ahhh the magic of physics.